Match 38 is important for two reasons. 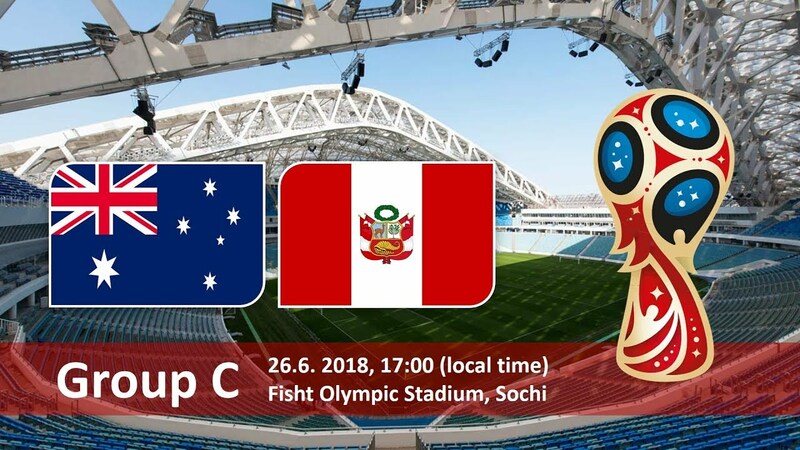 First, it is the last football match of Group C and second, this Soccer World Cup Match is between Australia and Peru. The date of match and time are 26 June 2018 and 17 Hours MSK respectively. The place of the soccer match is Fisht Olympic Stadium. Fresh from the 2015 winning of AFC Asian Cup on home soil, Socceroos football team is ready to teach a lesson to Peruvian soccer team. But in Australia Vs Peru Betting Odds, both the football teams look equal. Even the Australia Vs Peru winner betting tips shows no signs of any preference for Socceroos. But the betting odds and soccer world cup tips could change with time. Performance of Peruvian team is said to be inconsistent but it qualified for football world cup finals for five times. Also it has many cups and championships to its name.